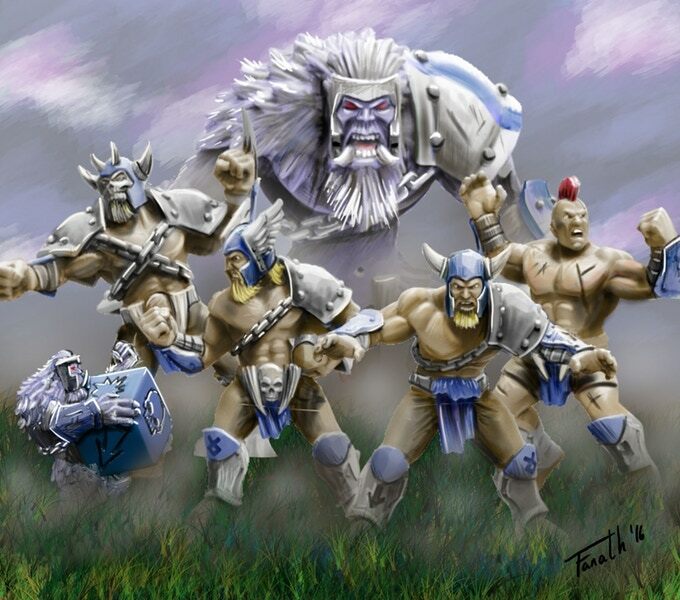 Want to play a Norse team in your local Blood Bowl league, but can’t find any Norse miniatures made by Games Workshop? No problem! Hungry Troll Miniatures ran a Kickstarter campaign back in April for a new Norse team (as well as two other teams!) and the miniatures have just landed at my front door!